We are a reputed entity in the industry, actively engaged in offering an optimum quality range of RRJ PVC Pressure Pipe. Pressure Rating: 4, 6, 8, 10, 12.5 kgf/cm2. We “Kamdhenu Pipe” founded in the year 2008 are a renowned firm that is engaged in manufacturing a wide assortment of PVC Casing Pipe, Pressure Pipe, HDPE Pipe and UPVC Plumbing Pipe. We have a wide and well functional infrastructural unit that is situated at Upleta (Gujarat, India) and helps us in making a remarkable collection of products as per the global set standards. We are a Partnership company that is managed under the headship of "Mr. Ashok Bhai Patel" (Partner)” and have achieved a significant position in this sector. As a PVC pipes manufacturing. since last 8 years, we want to give our clients the wonderful opportunity to join hand with us. Because our common interest is to support for Gujarat and be the growth engine of a nation. We as Kamdhenu pipe, after going through the successful journey of Mfg. of PVC pipe beginning from 20 mm. ; now are able to provide you the quality and strengthen product according to our clients' needs up to 315 mm dia. We have the daily production capacity of 28 MT app. Our ISI product of RIGID PVC PIPES brand under "KAMDHENU" and "BHIMANI" is available in size from 20mm to 315mm dia in various classes is ready to launch in Market. 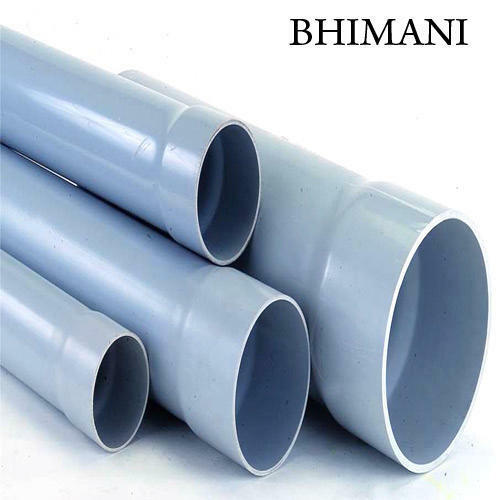 Our two known brand "BHIMANI" , "KAMDHENU PIPE" are already dominated in the market, especially in Gujarat state for its Quality and Consistency.